Since 2002, Ink in a Blink is a local sign and banner shop that has focused on the printing needs of our customers. We offer Signs, Banners, T-Shirts and more.... Our friendly professional team is proud to offer you the quickest service you can find in the Huntington, WV -Ashland, KY - Ironton, OH area, as a majority of our customers receive their product the next day. You get one-on-one customer service with our designers so you can stand out from your competitors. In fact, we offer many different options to meet your business needs. So come on down and see us Monday through Friday, 9am - 5:30pm. If you want to get the word out about something, our banner design and printing services are second-to-none. If your business has something to promote or you are an individual needing to make a very special announcement, we can take your existing design or create a design for you to print. The banners and signs that we create for you are durable, colorful, and high quality so that they get the job done for you in a cost-effective manner. If you want to say something with a t-shirt, we do t-shirt printing and screen printing too! We can create t-shirts containing your logo or the message you wish to relay. Whether you need t-shirts for a large event or to sell yourself for a profit, tell us what you need and we will make it happen. When in need of business cards, our business card printing service will ensure you have your cards in about an hour. You can bring us your design or we can design your business card for you. You can count on your card looking very professional on high quality card stock so that your current and potential clients have something great to remind them of what you can offer them. 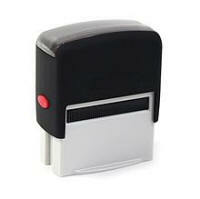 Rubber stamp fabrication is important because of the many uses. We can create rubber stamps with your logo or signature so that making your mark on important paperwork can be much more efficient and professional. You simply tell us what you want on your magnet by giving us your design or allowing us to create one for you.